Did you know these interesting facts about senior citizens? It’s no secret that the world’s population is growing older. Increased access to healthcare, a better understanding of hygiene, and a stable supply of nutritious food, have created a world where people are living longer lives than ever before. This huge incline in the senior population will create a rapid increase in the number of people looking to cope with and learn about aging. The size of the baby boomer generation means a larger number of people than at any point in history will be looking for new ways to cope with aging at the same time. To help break the myths, stereotypes, and generalizations, we’ve put together a list of interesting facts that might surprise you. According to a US jobs report released in 2017, American seniors are employed at the highest rates in 55 years.1 Specifically, almost 19% of people aged 65 years or older are working at least part-time. There are a number of factors keeping senior citizens in the workforce, such as better physical and mental health and the desire to retain a professional purpose. Money also plays a large role for many who are delaying their retirement, as the more they save and put away, the more they can have for a comfortable post-work life. An increasing number of senior citizens are breaking the stereotype that older people and technology don’t mix. These days, at least 76% of seniors not only have computer access but also are active members of the online community.2 This is especially true of social media sites like Facebook, where around 15 million users are 65 years or older. As technology develops, it also becomes increasingly user-friendly. This makes it considerably easier and easier for anyone to use to enrich their lives further through technology. When it comes to health, there is no “typical” older person. It turns out that many other factors contributing to a person’s state of health are far more impactful than their biological age. 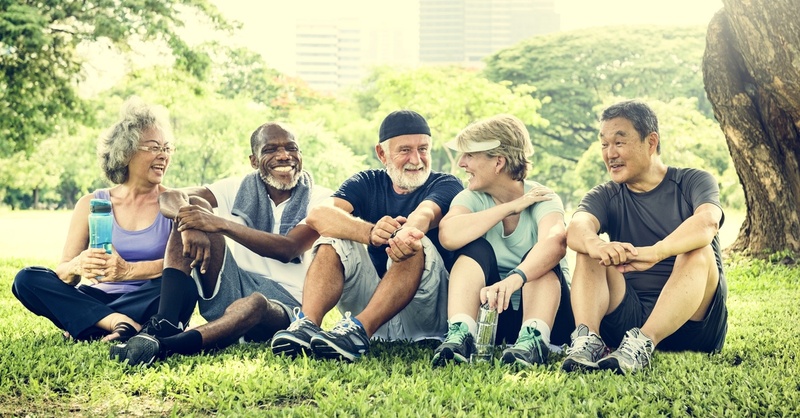 For example, if you live in a physical and social environment conducive to good health—like a senior living community with access to great healthcare, stimulating conversation, plenty of exercise, and clean air—you could be in far better health at 80 years old than a than a 25-year old who's living a sedentary lifestyle with very little outside involvement. At Weatherly Inn, we go the extra mile to create a healthy and stimulating environment for our residents—one where they can stay active, enjoy the benefits of technology, and live the life they want to lead as part of a thriving senior living community. If you would like to learn more about Weatherly Inn senior living communities, please get in touch. We would be happy to show you around our locations on a guided tour.